This week's flashback is a two-fer; in a roundabout, ironic way, there is a linkage between the two scenes. 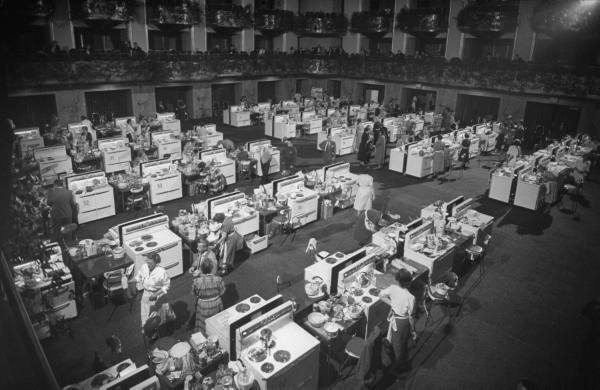 In 1949, the Grand Ballroom of the Waldorf-Astoria hotel was bustling with dozens of finalists in the inaugural Pillsbury Bake-Off. Sixty years after No-Knead Water-Rising Twists captured first prize, the cooking competition is still going strong. Not so with the setting of our second photo. 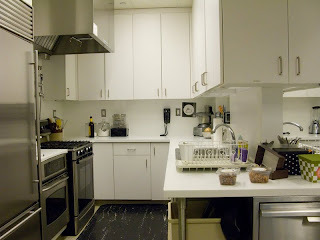 It's a shot of the now-deserted test kitchen of Gourmet, a fine publication that did not deserve to die. Kevin DeMaria, associate art director of the magazine, made a series of elegiac images of the office during its final days. I hear and respect the sadness in your post. The death of Gourmet Magazine will seem to some almost like a death in the family, but comparing it to the Pillsbury Bake-Off is comparing apples and oranges, or "Zucchini, Corn and Basil Fusilli with Bacon" and Totino's® Frozen Pizza. The Bake-Off was a marketing gimmick. 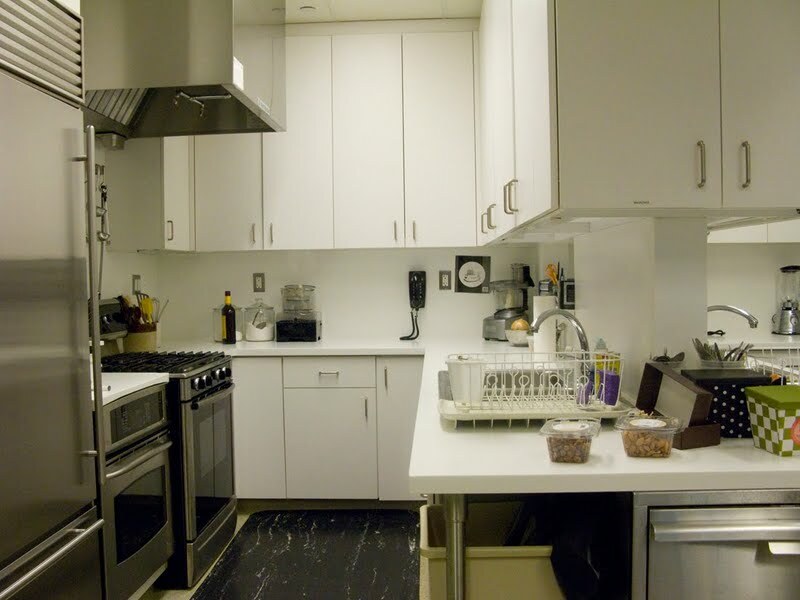 The Pillsbury company conned people — they continue to con people — into providing their time, energy and expertise, in the very slight hope of achieving momentary fame and a small check or gift certificate, to promote a particular line of grocery store products. And wasn't it fun to see all those stoves in the Grand Ballroom? Of course, mediocrity has a maddening tendency to succeed, but was there ever a contest? Gourmet to my knowledge never once strove for the perfect entrée using KRAFT Mayonnaise, or the best dessert using NutraSweet®. They never pandered or falsified. Now they can do what is seldom possible. They can stand proud in their failure. An imposed failure—as opposed to an artifice of success, in the case of the PB-O. If I misspoke in any way, forgive me. I was only looking for the silver lining. Happy Thanksgiving.